Now experience clearer, superior quality table tennis content as the ITTF adds the HD feature to its exclusive online channel, itTV. This feature is also compatible to your mobile and tablet devices! On 1st October 2016, at the Liebherr 2016 Men’s World Cup, the ITTF launched its exclusive HD viewing experience for all matches to be streamed LIVE on ITTF’s exclusive online channel ITTF.com/itTV. This feature, compatible to all mobile and tablet devices, will bring in a new experience for all the fans globally as they will have access to the best table tennis content worldwide on a device accessible to them! With the HD feature, fans can now stream all table tennis content on large projected and wider screens as the videos will now be pin-sharp. 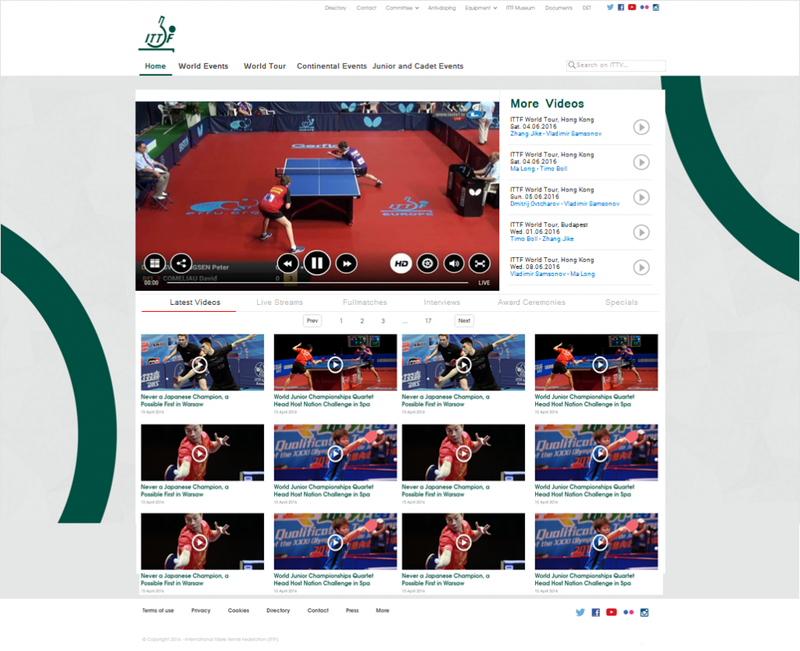 The new design for the itTV page on the official website will be launched during the ITTF World Tour Grand Finals to be held at Doha, Qatar from 8-11 December 2016. This initiative will reduce the number of clicks required to access all videos: live streams, latest videos, full matches, interviews, awards ceremonies and many more. Soon, all the video content will be a few clicks away! New design of itTV page on the official website, coming up very soon. So why wait? Grab a device near you to watch the best players on earth compete, in crystal clear HD quality only on ITTF’s online channel ITTF.com/itTV. With 222 member nations under its belt, the ITTF continues to provide the best of the best table tennis content to all, globally.